Here are some that went out as gifts so far this year. All have ironwood scales. I still have a couple left to get done and time is running out! 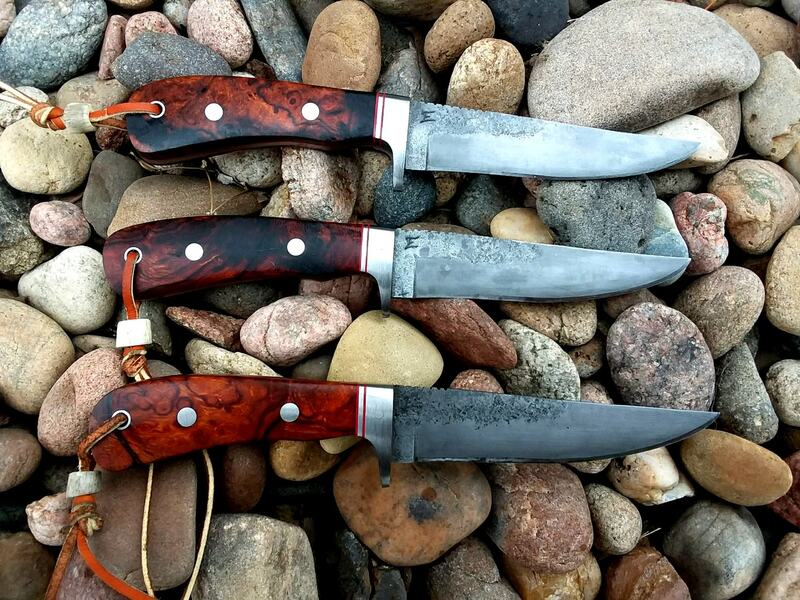 The first set of 3 went out to a good friend to gift his son-in-laws. This set is headed out to my cousin for him and his son. OH Santa I have been a very good boy. They look very very nice. Very,very nice! 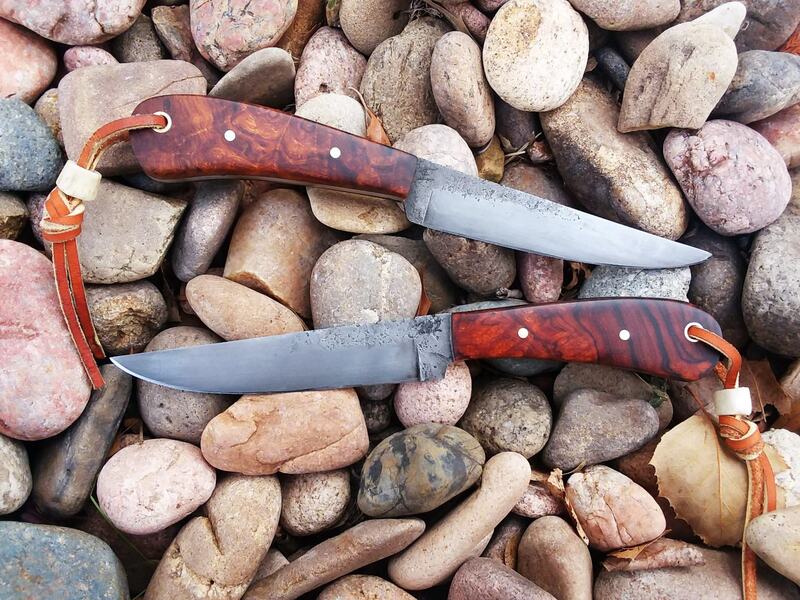 Love that ironwood. Somebody is gonna have a great Christmas! So how does a fellow Kansan get in touch with you to discuss a knife? Andrew, you can pm me or email me if you would like and we can go from there. My email is cediger@usd375.org, thanks!